Majority of Internet users use Gmail for communication. Gmail is a popular free email service. College students and self-employed people are using Gmail. Your most important emails will be delivered to the 'inbox' folder. Social media notification emails and promotional emails will be separately delivered to 'Social' and 'Promotions' folders respectively. Most of the spam and phishing emails will be directly sent to the 'Spam' folder. If you still receive annoying emails from multiple recipients to the inbox, you need to set up Gmail spam filters. It's a free option available in Gmail to effectively organize your emails. 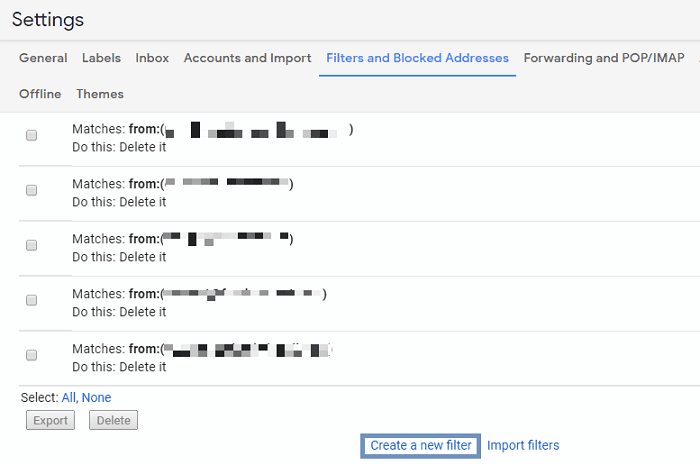 Filters allow you to set up rules for your Gmail account to manage incoming emails. It will tell Gmail on how to handle the receiving emails. It requires a one-time manual set up. After that, Gmail will automate the process of organizing your emails. By using Gmail filters, you can stop spam emails delivering to your inbox folder. You can also apply filters to existing emails. 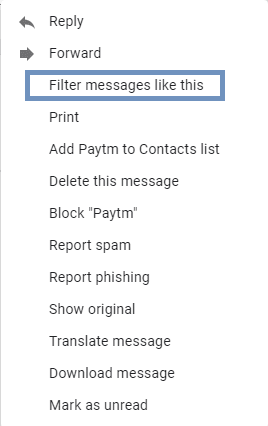 Filter option is not only for stopping spam emails but also to move your loved one's email to a specific sub-folder called Gmail label. 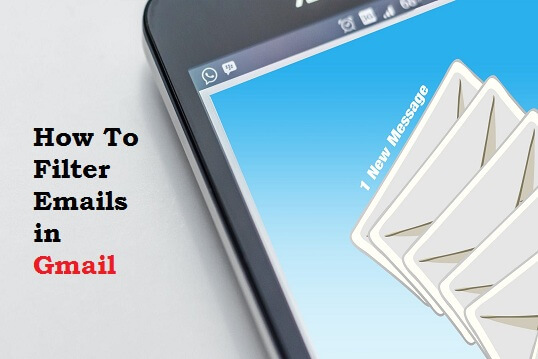 In this guide, you'll learn how to filter emails in Gmail. In addition, you'll how to manage, import/export filters. Desktop PC to access Gmail in a web browser. As per the requirements you need to access your Gmail in a desktop browser. The Gmail app doesn't have the option to create a filter. 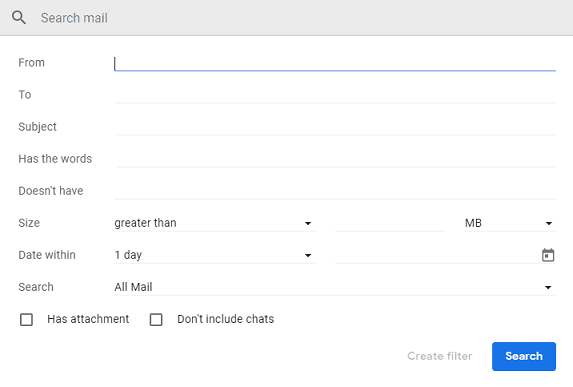 Follow the below guide for creating a new filter in Gmail. You can access the filter options in 3 ways. I'll explain all the options here. Click the Down Arrow inside the search box in Gmail. You'll see the first step to create your filter. Click on Create new Filter. Open an email in which you want to filter from the inbox folder. Click on 3 Vertical dots inside the email. Click Filter message like this. The advantage of filtering individual email is that it will automatically enter the recipient email address in the From field. 1. From - Enter the recipient email address. You can enter multiple email address one-by-one. Include a comma after filling each email id. 2. To - Filter emails sent to a specific email address. 3. Subject - Enter a subject line to filter emails with matching subject. 4. Has the words - Fill this field with specific words you found from annoying emails. 5. Doesn't have - Filter emails which don't have the applied words. 6. Size - It allows you to filter emails in sizes. Example: You can filter emails Greater than or Lesser than required size (MB, KB or Bytes) of an email. 7. Has attachment - Check this box to filter emails that have an attachment. Else, leave this box empty. 8. Don't include chats - Checking this box will ignore hangouts chats. Note: It is not necessary to fill all the fields. Proceed to click on Create Filter as shown in the above screenshot. We have created basic criteria to filter emails. After this, you should specify certain rules to Gmail. It will command the Gmail to execute the output. Check the below boxes that are appropriate to match the criteria. 1. Skip the inbox (Archive it) - It will directly archive the email when you receive. You won't see the email in the inbox folder. 2. Mark as read - All the matching emails will be automatically marked as read. So, you don't need to open the email. 3. Star it - It will put the star for the email. 4. Apply the label - If you've already created labels, this option helps. Emails will be moved to the corresponding label. To create a label, check this guide. 5. Forward it - Check this box only if you want to automatically forward emails to a different email address. Remember that you should set up email forwarding to activate this feature. 6. Delete it - It will automatically delete the received email. You can check the deleted email in the Trash folder. 7. Never send it to spam - If you check this box, the received email will not be moved to a spam folder. 8. Always mark it as important - To mark the filtered email as important, check this box. It is similar to star an email. 9. Never mark it as important - It will automatically untag the filtered email as not important. 10. Categorize as - It categorizes the filtered emails as Primary/Social/Updates/Forums/Promotions. 11. 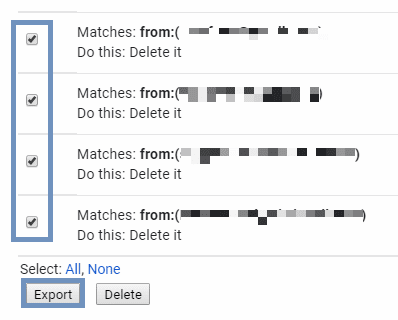 Also apply filter to matching conversions - Automatically applies the conditions to all emails that are archived, unread, read, and trashed. Check this box to apply filter to existing emails. Note: It is not necessary to check all the boxes. Finally, click on the Create Filter button. We have successfully created a filter for emails. 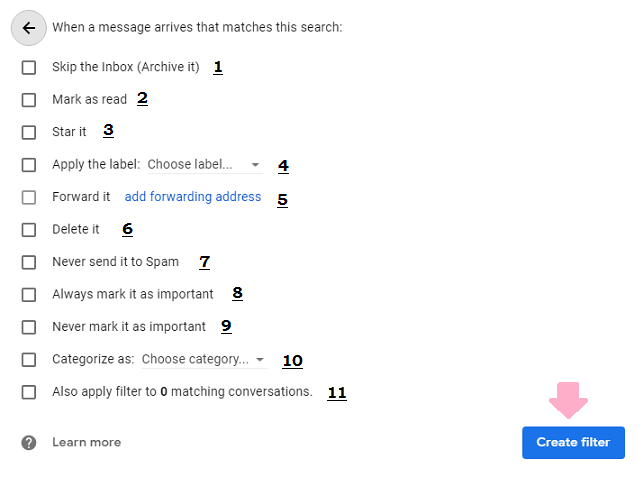 So, you've created an awesome filter that tells Gmail to handle the matching emails. 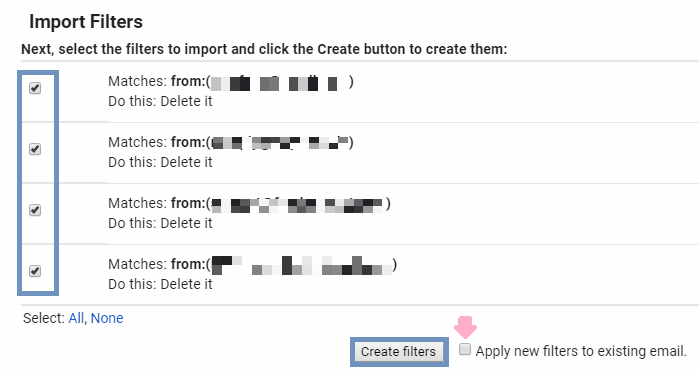 If you'd like to apply the same filter to your another email account, you have to export the filters from current Gmail account. Then import the filter to your another email account. Check all the filtered emails as shown below. Click Export. (You can also edit/delete the individual filtered email address). Log in to your another email account if any. Click on Import filters as shown below. Choose the .xml file containing the filters. Within a few seconds, it will import all the previously filtered email addresses. Make sure that filtered emails IDs are checked. 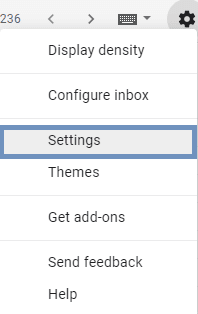 To apply new filters to existing emails, check the appropriate box. If you practice filtering emails by following all the above steps, you can become a filter pro. You can easily manage and organize your emails. I hope this helps. Share it, if you like this guide!